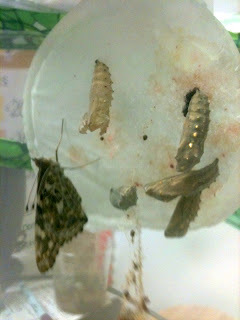 Mrs. Chappell's 2nd Grade Blog: We have a butterfly! The first of the painted lady butterflies came out of it's chrysalis Friday afternoon! Tess, Ms. Kornegay, Ms. Head and Ms. Pounders all "ooh'd" and "ahhed" over how pretty it was.